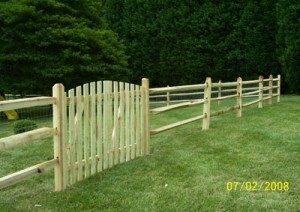 Split Rail Fence is an informal, open, natural-looking fence. 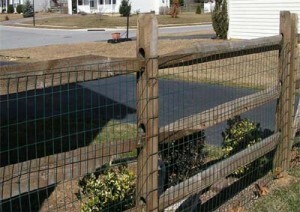 If you like to cover a larger yard, this fence is an economic option. This fence also uses much less wood. When pets or children are involved, a wire fence can be affixed to the inner or outer face of the split-rail fence for additional protection. There may be numerous reasons to build a split rail fence which can range from being simply decorative to wanting to have a closed front yard for their pets to run around freely in. 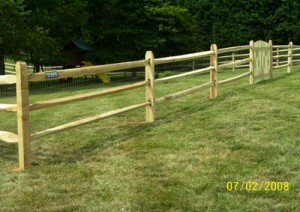 Other reasons for having a fence in the front yard is to give an extra look to the property. For those of you who would like to have a more rustic look to your property, you might think about building a split-rail fence in your front yard. 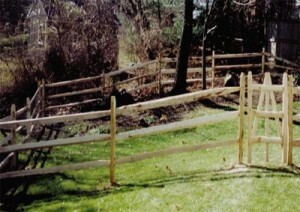 Split-rail fences can also be used as dividers to divide parts of your property.